Latin American Nutrition and Health Study (ELANS) by professors Georgina Gómez and Mauro Fisberg, principal investigators of the project. 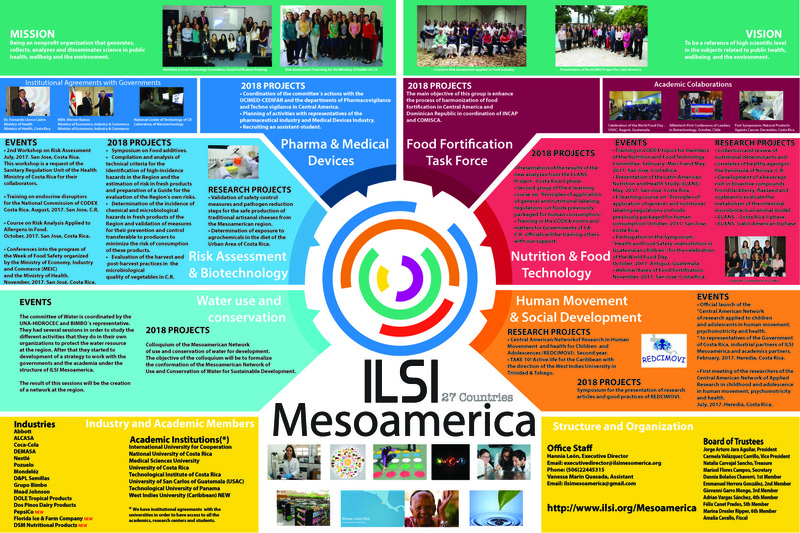 On February 6, ILSI Mesoamerica held its General Assembly for this 2018. This time it was attended by many of the industrial partners and academic allies, as well as special guests. As part of the agenda, all the reports corresponding to the year 2017 and the work plan for 2018 were presented. After this, the process of election of the positions for Board of Directors was carried out. The Assembly unanimously decided to re-elect all the positions that were in election. To know more details of the Assembly, you can do it here. 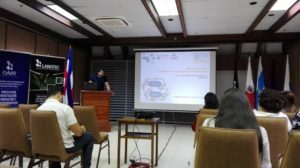 We celebrated the first graduation work approved at the University of Costa Rica with a project supported by ILSI Mesoamerica. 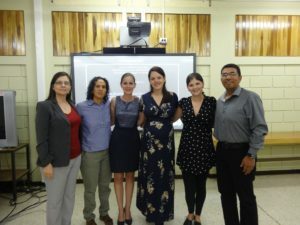 On March 13, 2018, the student of the Food Engineering career at the University of Costa Rica, Gloriana Rodríguez Herrera, defended her final graduation work developed within the framework of the project: “Validation of control measures to reduce pathogens and ensure the safety of three artisanal dairy products produced in the Mesoamerican region, “which is funded by ILIP Global’s PIP program. 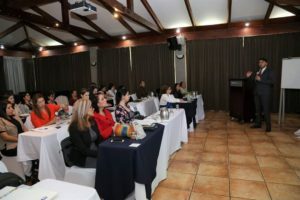 During the months of April and May, the Codex Process and Codeine Training Workshop was held for Central America and the Dominican Republic. 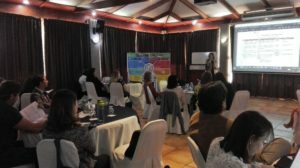 During two days per country we worked with all the Government Officials and representatives of the academy that are part of the National Codex Alimentarius Commissions of each country. In the month of April, El Salvador, Honduras and Guatemala were visited. During the month of May, Panama and the Dominican Republic were visited. The workshop in Nicaragua is pending. 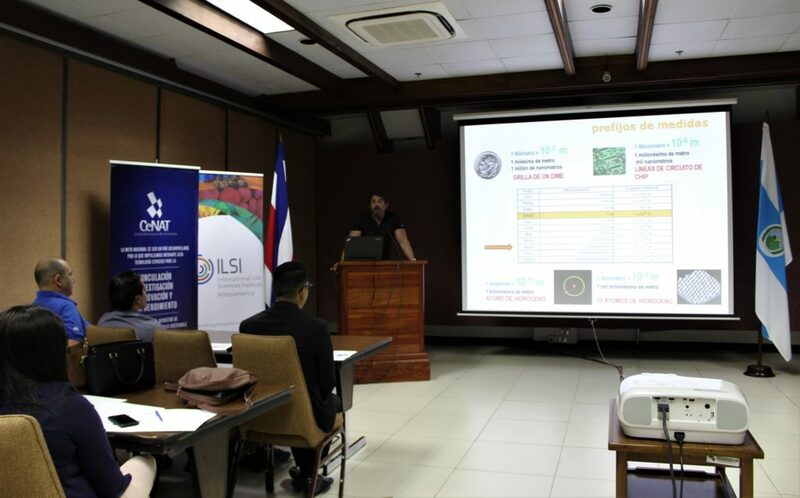 Risk Analysis and Biotechnology Committee organized the Workshop – Food Additives Symposium: risk analysis, toxicology and market trends, took place on May 15, 16 and 17, during the first part of the event a special workshop was held for officials of the governments of Central America. The second part of the event was an open symposium for the food industry, academics and students. Finally, there was a total participation of 85 people both in person and online. ILSI Mesoamerica is pleased to announce the start of work of the Food Fortification Sub-committee with topics related to innovation, vehicles for food fortification, voluntary fortifications, among others. 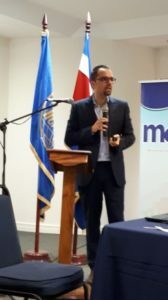 In addition, Committee of Pharmaceutical Affairs and Medical Devices restarted its work, through a conference for representatives of the pharmaceutical industry called “Nanotechnology and the challenge in the Pharmaceutical Industry”, dictated by Dr. José Vega of LANOTEC. 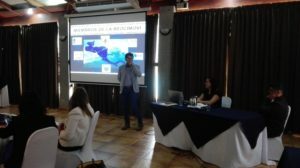 On July 16 in San José, Costa Rica, the results and the second stage of the Central American Research Project applied in childhood and adolescence in human movement, psychomotricity and health (REDCIMOVI), by researchers María Fernanda Herrera, were announced. , Carlos Álvarez and Emmanuel Herrera. This research sought to know the state of health of the Central American context, through the analysis of the prevalence of overweight and obesity, the level of physical activity and self-esteem of children in each of the countries that make up this project. 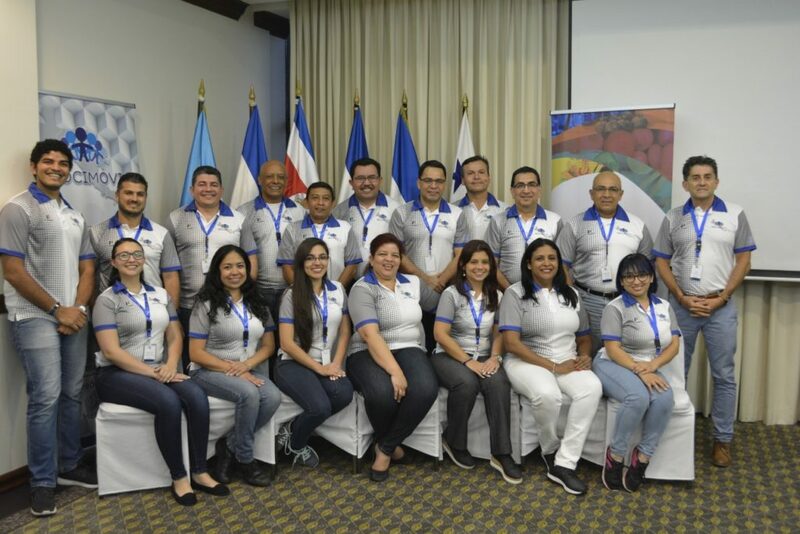 Likewise, we welcome the Pan-American Agricultural School Zamorano of Honduras and the company Tecnosoluciones Integrales Leiva S.A to the great family of ILSI Mesoamerica. 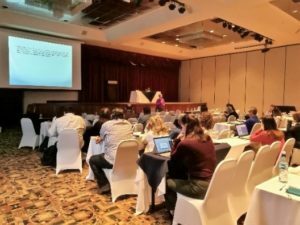 On August 22, 23 and 24, 2018, ILSI Mesoamerica had the pleasure of receiving and sharing with representatives of the branches from ILSI Argentina (remotely), ILSI Brazil, ILSI Mexico, ILSI North-Andean and ILSI South-Andean. We also have the participation of the Executive Director of ILSI Research Foundation and current Global Chair of ILSI, Ms. Morven McClean and the Director of Operations of ILSI Global, Mr. Stephane Vidry. 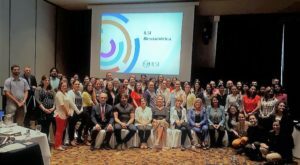 On August 29, 30 and 31, 2018, the second meeting of researchers from the Central American Universities participating in the Central American Network project of applied research in childhood and adolescence in human movement and health (REDCIMOVI) was held. Each university, through its principal investigator, had the opportunity to present research data carried out between 2017 and 2018. 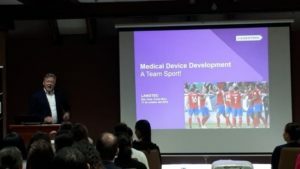 On September 13, the Committee on Pharmaceutical Affairs and Medical Devices held its second conference of the year, on this occasion, the guests were the representatives of the companies that develop medical devices and the Ministry of Health of Costa Rica. In this occasion, the representatives of the Department of Product Regulation of the Ministry of Health, as well as seven companies of the devices sector, participated. On October 11, the Committee on Pharmaceutical Issues and Medical Devices, in collaboration with Dentons Muñoz and CeNAT-LANOTEC, organized a free event on technosurveillance experiences in the United States and Canada. 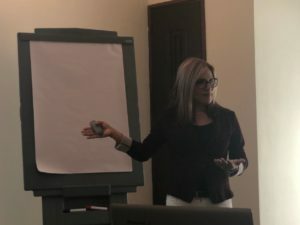 The participation of Dr. Ileana Roverssi, a member of the National Center of Pharmacy and Techno-Surveillance, was attended by the Ministry of Health of Costa Rica. ILSI Mesoamerica supports the activities through the participation of the expert speaker Dr. Fernando Sampedro of the University of Minnesota, who participated in the inauguration of the week of the safety and after this the days 6 and 7 of November took place The Food Safety Symposium in the Food Industry and Food Services, which also included the participation of Engineers Catalina Chaves and Gerardo Ugalde of the Food Partnes company as expert speakers on issues related to food safety in the Services of Public Feeding. 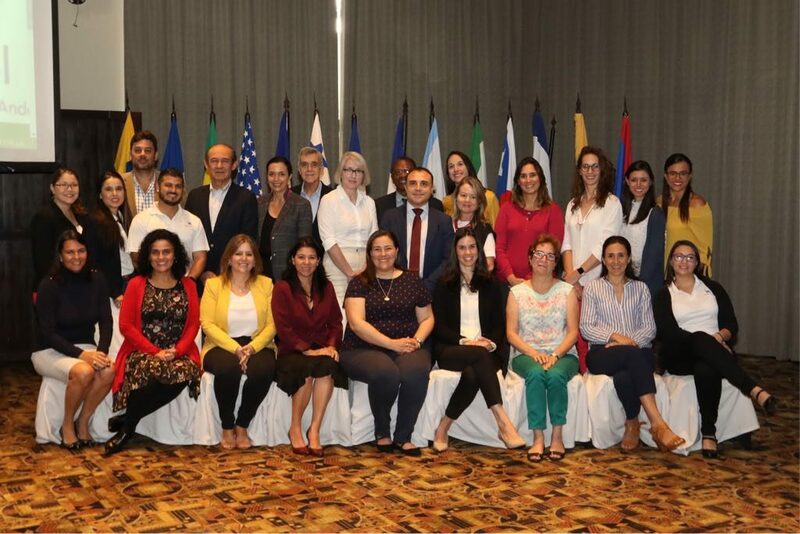 On November 14 and 15, the Codex Alimentarius Training Workshop on Processes and Regulations for Central America and the Dominican Republic was held, on this occasion the participation of government officials and academics who are part of the different Codex Committees of Costa Rica. In addition, representatives of the food industry of Panama, Mexico, Guatemala and Costa Rica participated. 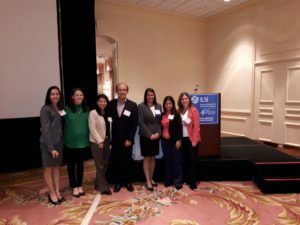 On December 11, 2018, ILSI Mesoamerica held a free forum that provided participants with a guide to scientific bases and practical tools to effectively reach their health and wellness goals in 2019.